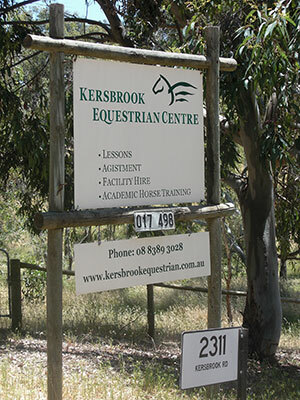 We are located on the Kersbrook to Gawler Road, 1.5 kilometres west of Kersbrook. The Centre is a scenic 45-minute drive north east of Adelaide’s CBD on the way to the Barossa Valley. From Kersbrook, turn off the main road onto the One Tree Hill Road towards Elizabeth, then look for directional signage on the right side of the road. If you’re coming from the city or northern suburbs, we are 9 kilometres from the intersection of the One Tree Hill and Humbug Scrub Road and the entrance is also signposted from this direction. Be aware that the main gate is set well back from the road and if you are towing the entrance needs a steady approach from the main road. Please note that bookings are essential to use our services or facilities, so make sure you let us know when you would like to visit.